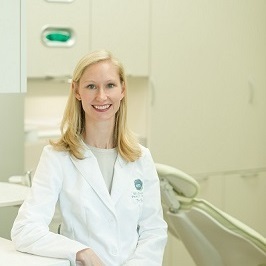 Dr. Jackson’s approach to care is one that’s driven by educating patients on how to prevent dental problems like tooth decay and gum disease. If treatment is needed, she will provide care as if you are a member of her family. Are you looking for a family dentist in Murfreesboro that’s focused on implementing preventive care instead of a corporate office that pushes you to get treatment that you don’t feel you need? That’s exactly what Dr. Elizabeth Jackson had in mind when she founded Murfreesboro Family Dentistry. If you’re searching for a new Murfreesboro dentist, we invite you to give us a call! Dr. Jackson will help you create an oral health plan that meets your long-term goals and restores function to your smile. Contact Murfreesboro Family Dentistry today to schedule your new patient appointment. Se habla español. Our In Office Savigns Plan is a great option for you if you don’t have dental insurance. Avoiding everyday dental problems through preventive techniques can help our patients retain their natural teeth for life, while consequently reducing their overall cost of dental care. Our office is in the same shopping center as the Blue Cactus, west of I-24 between Gresham Ln. and St. Andrews Dr. across from Auto Zone.